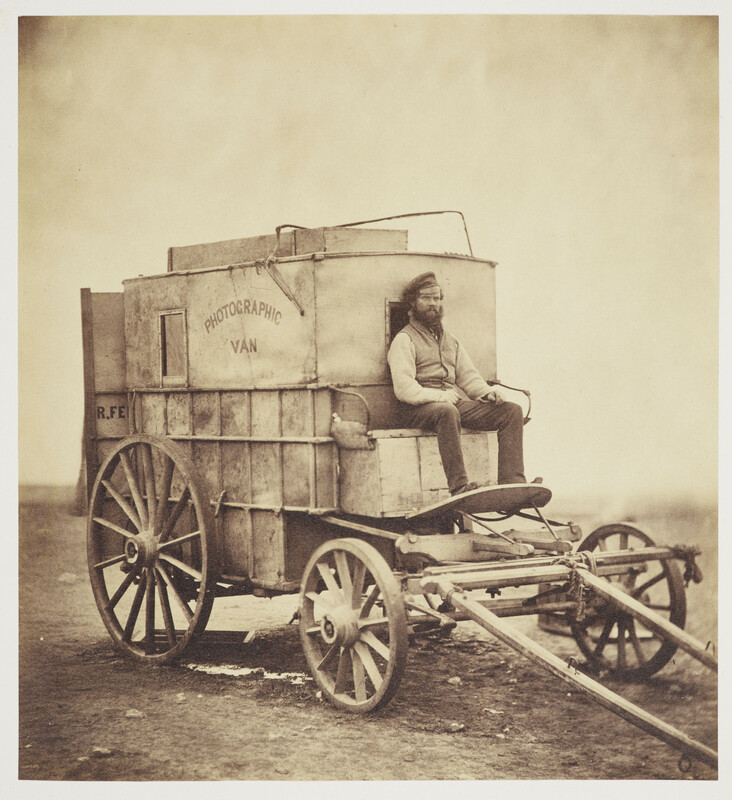 Photograph of Roger Fenton's horse-drawn photographic van, with his assistant Marcus Sparling seated at the front. The van is facing partly right and has 'PHOTOGRAPHIC VAN' printed on the side. Roger Fenton used the wet collodion photographic process during the Crimean War, which required a large amount of equipment including cameras, glass plates and chemicals. This, and the harsh landscape of the Crimea, meant a van was essential for travelling and working in the region.